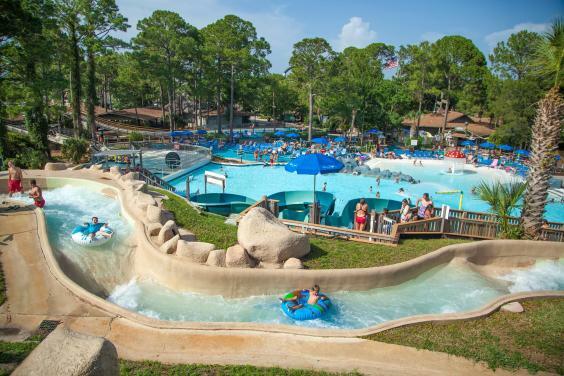 Shipwreck Island Waterpark has three million gallons of water that you can slide down, splash under, swim in, float down, raft through, or just relax in! 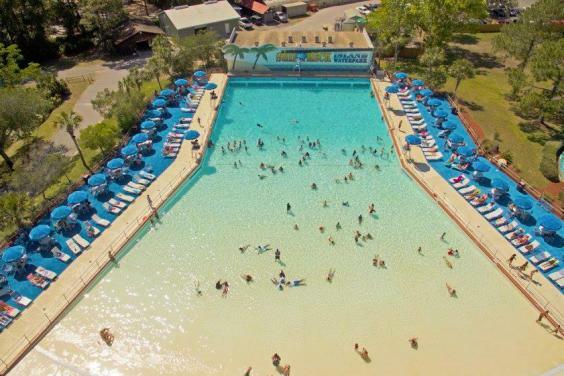 Come enjoy our tropical setting! 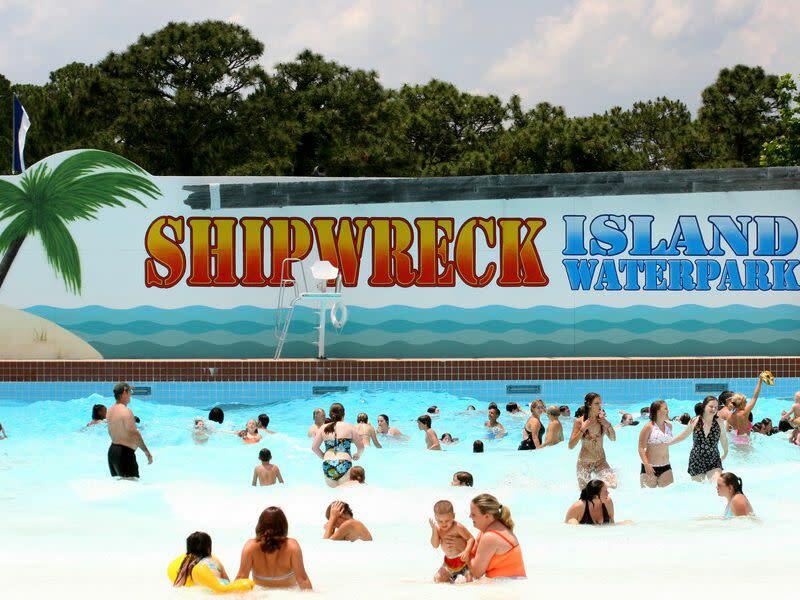 Here's a listing of attractions in Shipwreck, so "water" you waiting for?!? 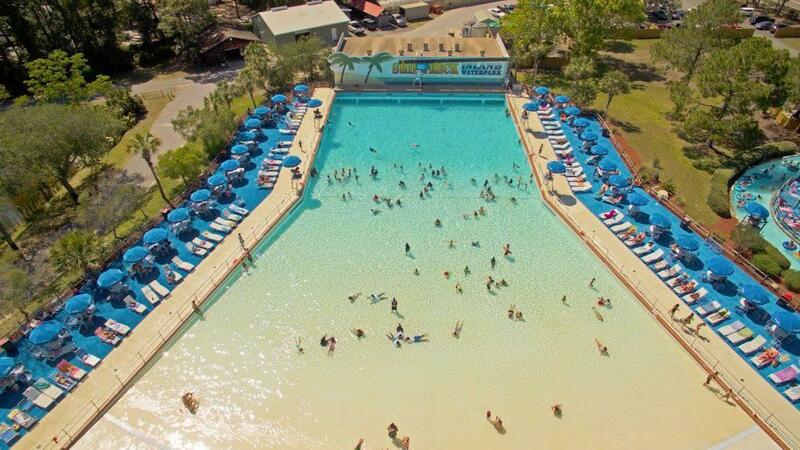 The 500,000 gallon wave pool. 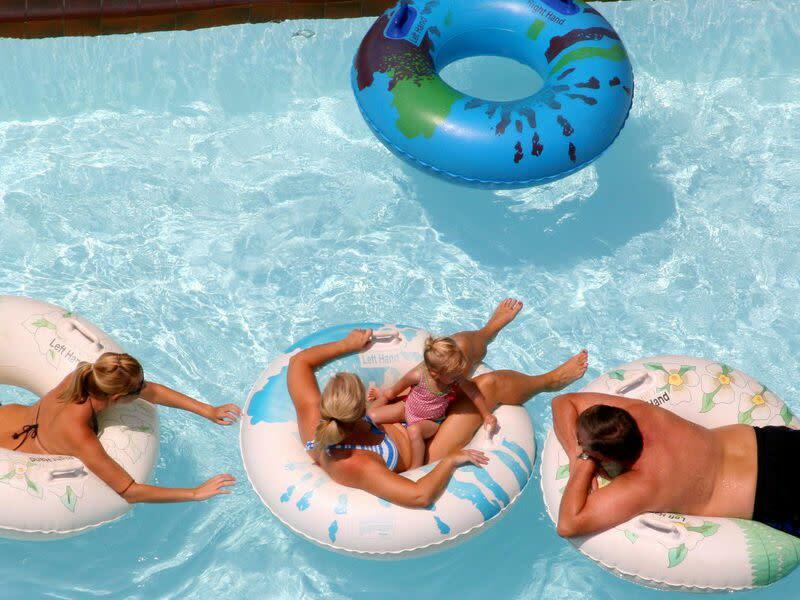 The Tadpole Hole is over an acre of pools, slides and attractions for our very smallest guests. 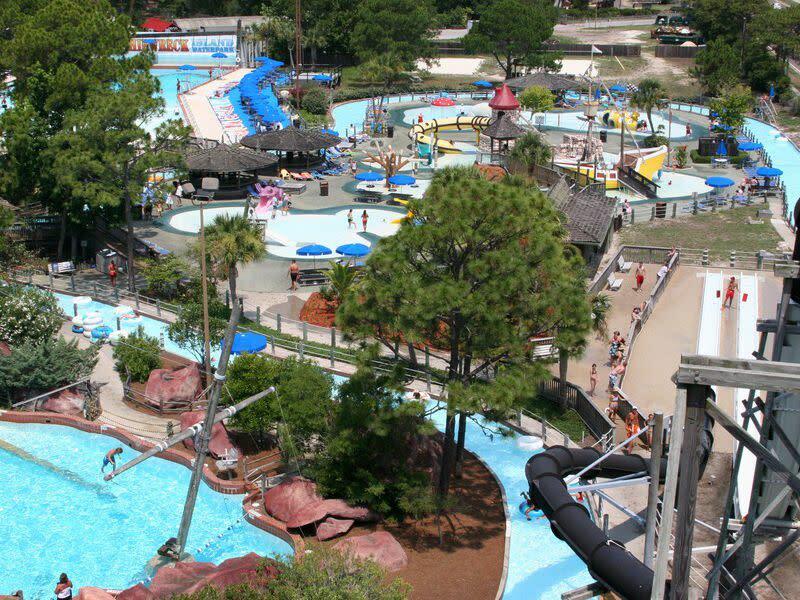 The Lazy River is the most relaxing journey in all of Panama City Beach with sunny spots and shaded areas that accent the leisurely ride. 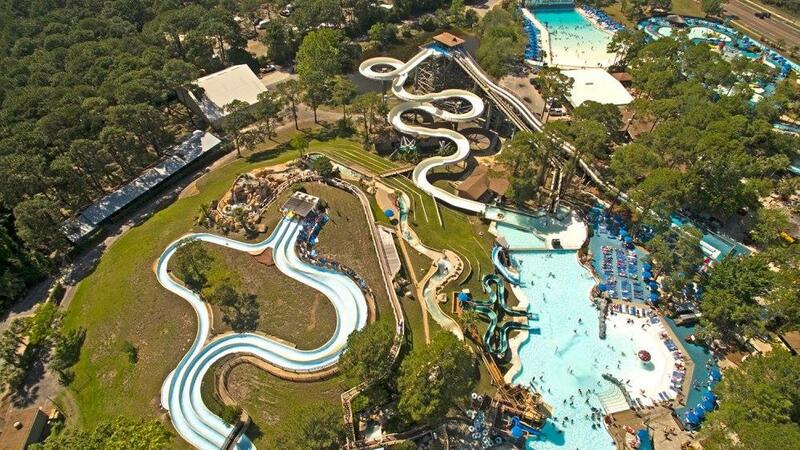 Tree Top Drop is a fully enclosed tube ride that races from a 65 foot tall platform into a watery finale. 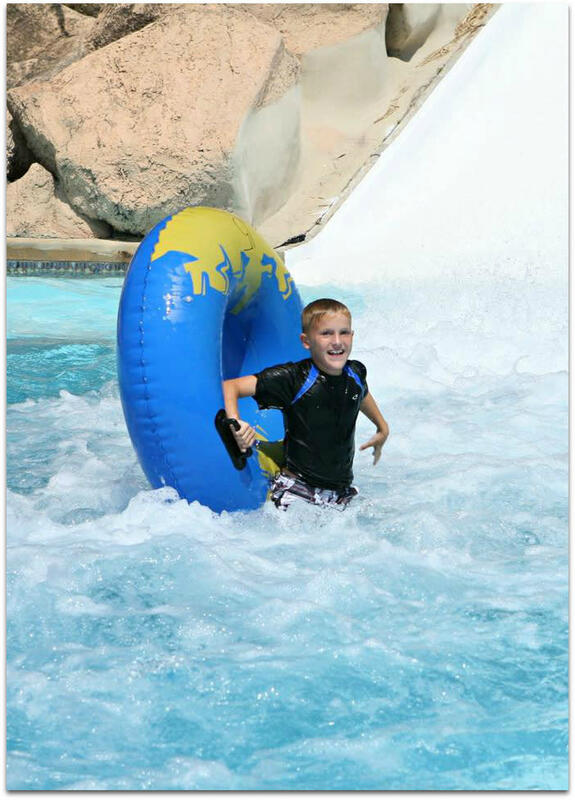 The Free Fall starts as an enclosed tube ride then shoots riders out on a free fall drop slide. 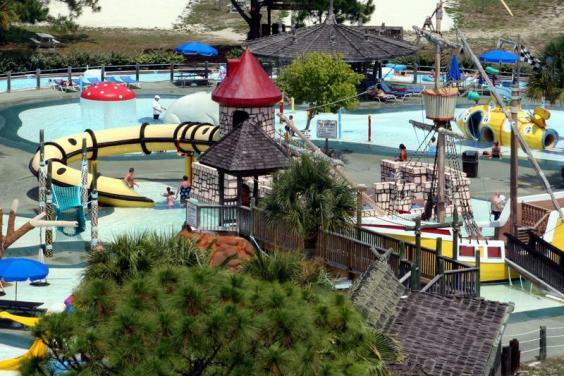 The Pirate's Plunge Racing Slide gives riders the chance to race each other from two 65 foot high starting positions, down humps and bumps at speeds that can reach 35 miles per hour. 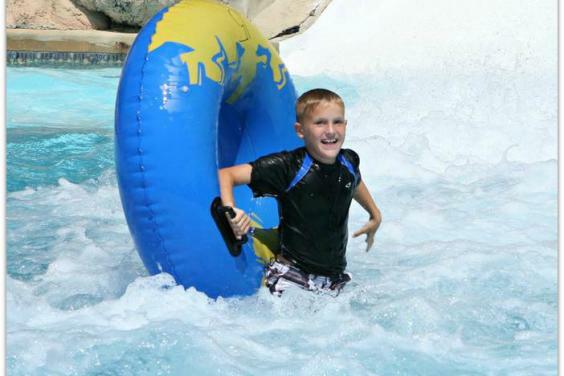 The Rapid River Run is a different ride every time. 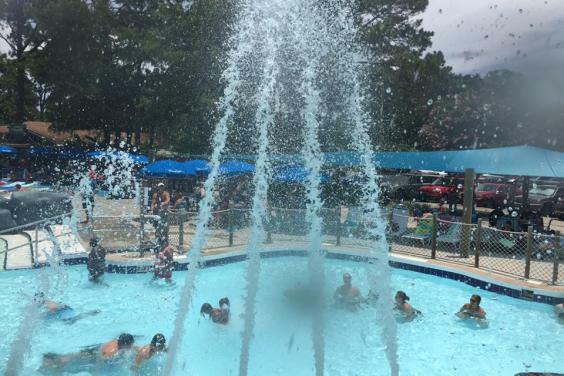 It's a white water experience with twists and turns and waterfalls and one thrilling splash down into the river's catch pool. 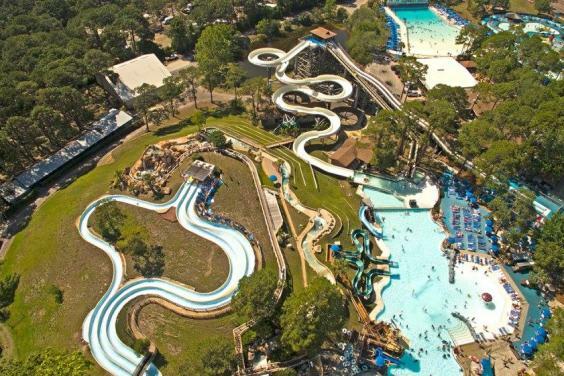 The Zoom Flume is a classic "mat" waterslide. 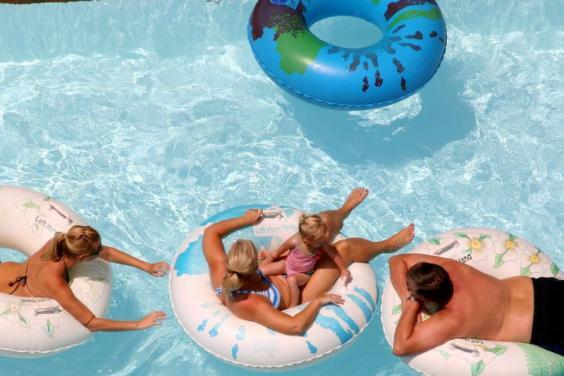 Many parents enjoy riding double with their children. 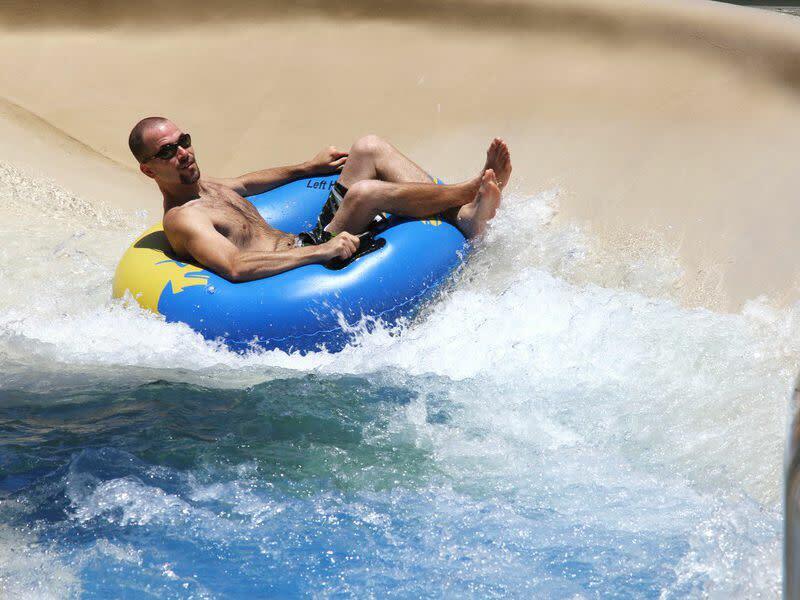 The White Knuckle River twists and turns riders down nearly 400 feet of winding trough to a huge splash into Skull Island. 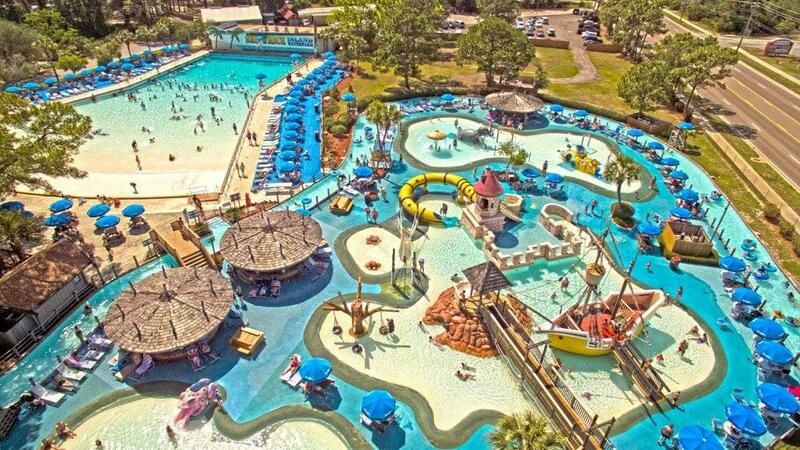 Skull Island also features Lickity Split kiddie slide, the Pirate's Race for smaller challenges. 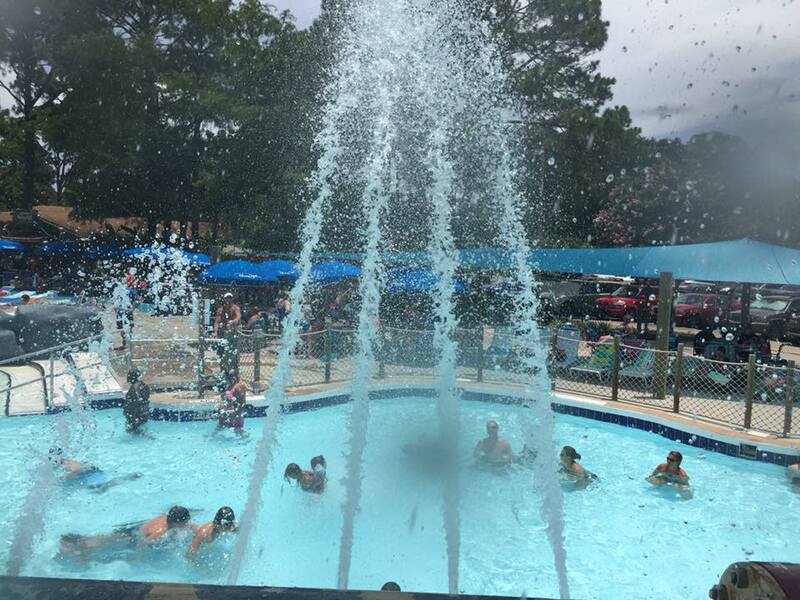 The Shipwreck Water Company is a favorites of all ages with a small fort that has a tipping bucket dropping hundreds of gallons of water every few minutes on a crowd of eagerly awaiting guests. 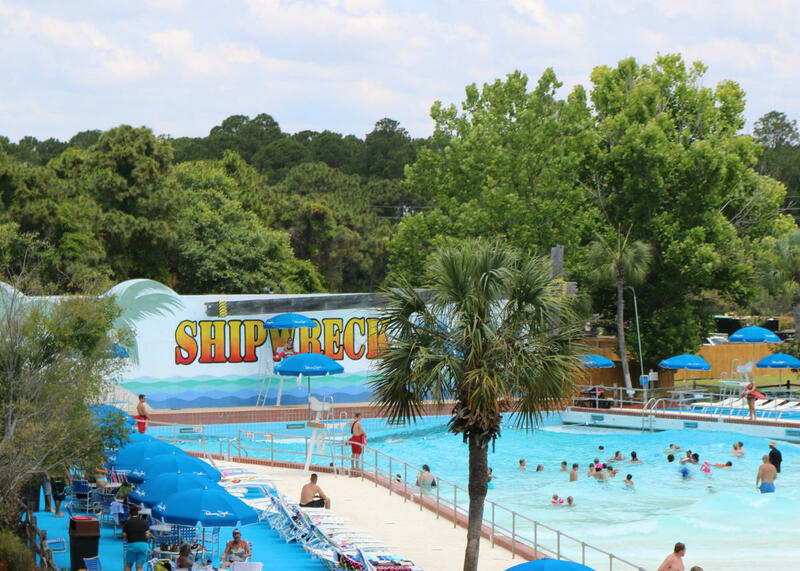 Jump Ship is another challenging attraction where guests swing from an old sunken ship into nine feet of water. 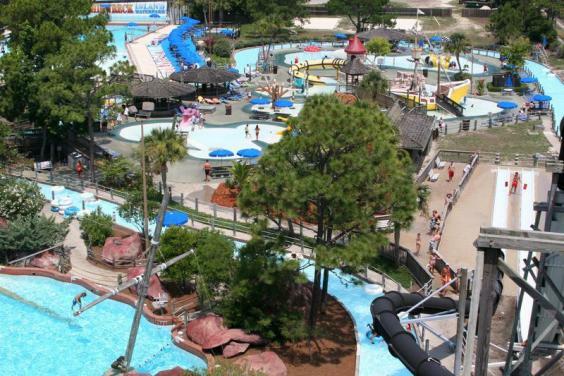 YOUR Tripadvisor guest reviews earned us the title of #18 in the list of Top 25 Water Parks in America! Thank you! 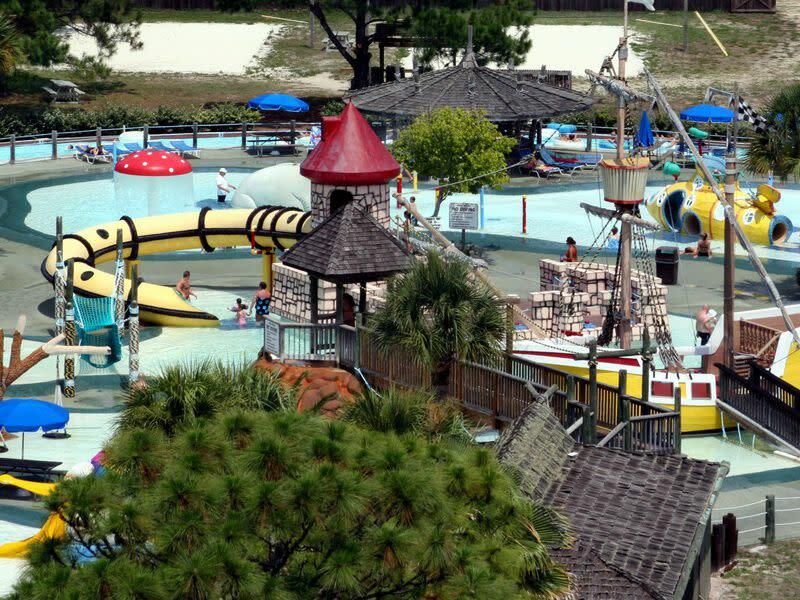 Shipwreck Island is the perfect place for families on Panama City Beach to spend quality time together. 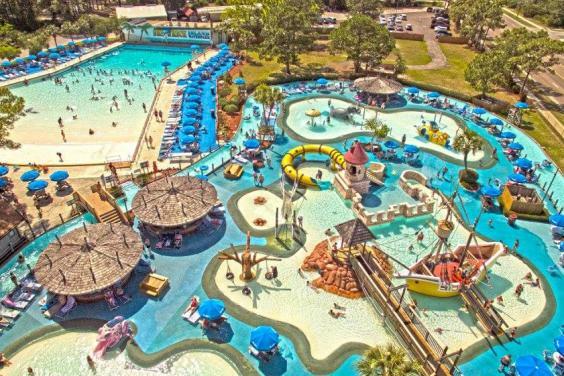 Enjoy great food, refreshing beverages, and a full day of family fun at one of Florida's best themed waterparks...Shipwreck Island Water Park. 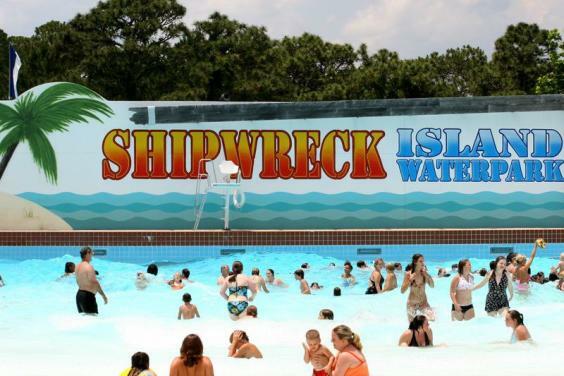 www.shipwreckisland.com 12201 Hutchison Blvd. 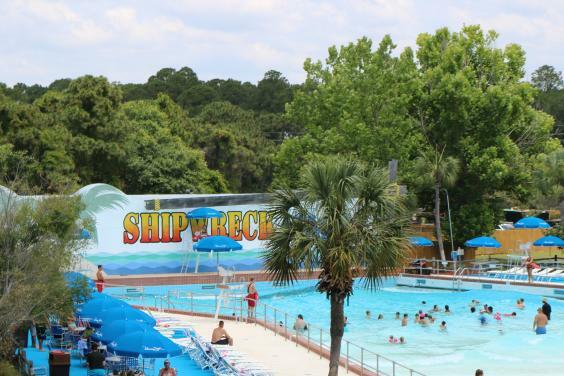 (850) 234-3333, or find us on Facebook at https://www.facebook.com/ShipwreckIsland.